Having been away from the ocean for many seasons, I realized how much I missed the salt air. 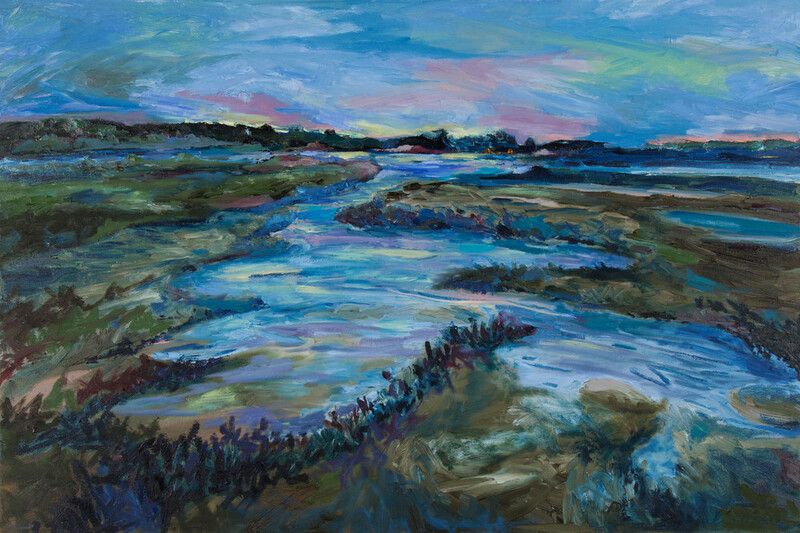 This painting is of the wetlands around the area as the sun is setting over the marsh and the glow of its colourful light reflects off the waters. Cette toile est représentative du coucher du soleil sur les marais, et la magnifique reflection des couleurs dand l'eau. Cette scene est captée sur le bord de la mer ou l'air salin est si bon.